People are getting busier by the day and often turn to technology to help them find smarter ways to be more productive. A consequence of this is that things get left behind or undone and then need to be taken care of. To a certain degree, Siri, Apple’s voice-controlled personal assistant, was supposed to accomplish this. However, some say that it hasn’t done a good enough job and opens the door for other solutions. Today, Sivi launches to try and be the service that everyone needs. 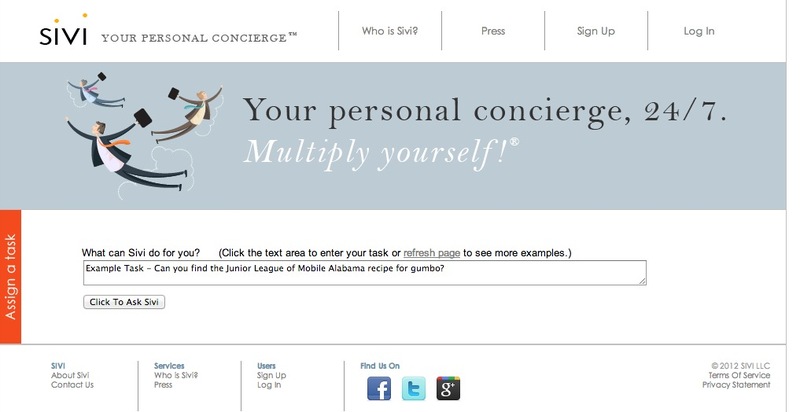 Calling itself your personal concierge, this new service claims to offer quick delegation and completion of tasks all through phone, SMS messaging, and via the web. Starting at $5 per request, Sivi allows you to submit your requests and a human being on the other end will help you accomplish it. Tasks can include things like “I’ve locked my keys in the trunk of my car. Who can I call for help?” or “Does the tour bus I’m on in Italy stop at the Prada?”. The brainchild of serial entrepreneur Nicholas Seet, who founded Auditude, one of the top five video ad platforms before selling it to Adobe in 2011, Sivi is focused on helping people who want to delegate busywork in order to help free up their time for more important things. It seeks to complement Siri while also taking advantage of issues that frustrates users, such as natural language comprehension and what Seet calls “interfacing with the real world”. Unlike Siri though, his service isn’t integrating itself to other services like the calendar, email, phone, etc. For Seet, the idea for this service came up when he was helping his wife take care of his two young children. Back then, he was managing Auditude and this took up a lot of his time. Combined with childcare, he was in trouble. After evaluating several personal assistance services, both online and offline, he says he realized there was a gap in how automated services on his mobile device meshed with the semantic web services that have been springing up over the past few years. You might think of this service as similar to ChaCha, TaskRabbit, Zaarly, or even Exec, but Seet says it’s different because of the scale and the frequency. 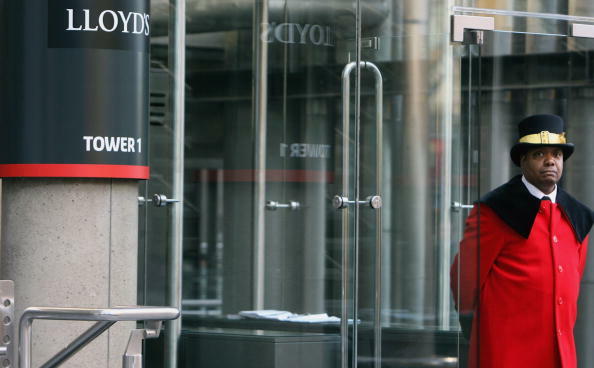 The service is available 24 hours a day, 7 days a week and handled by a US-based team. The service claims that all tasks will be responded to within minutes either via text or email. Right now, the only way to use the service is through the website or through SMS. An Android app is in the process of being developed and eventually a plugin into Siri once an API becomes available. 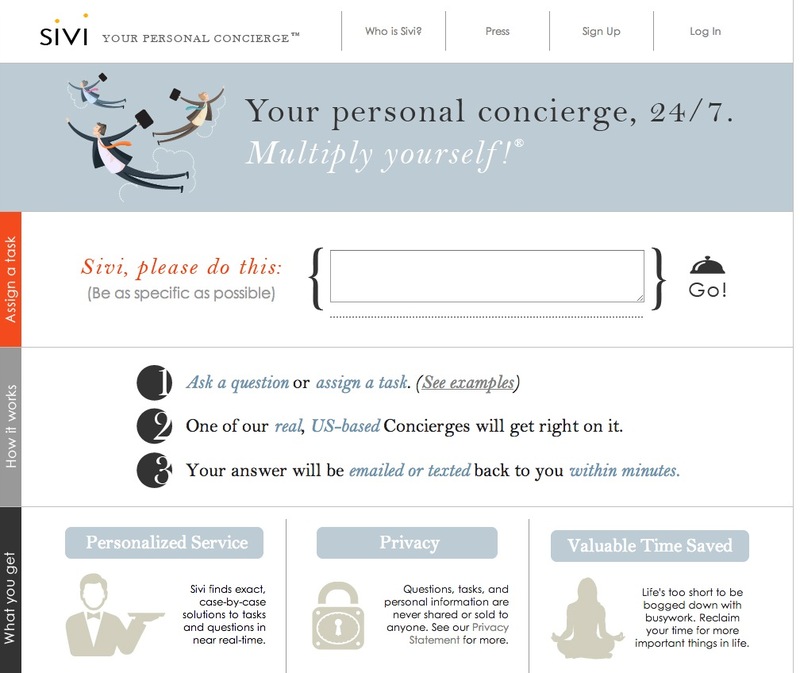 Seet puts it simply as: Siri is your virtual assistant while Sivi is your personal concierge. The company is self-funded and has put together an IndieGoGo campaign to solicit funds to help build its mobile app.